Oklahoma Coupon Queen offers printable coupons, free coupon classes,freebies and more. Please note: We do not follow a strict Keto diet. I may offer shortcuts and tips for those on a busy schedule. 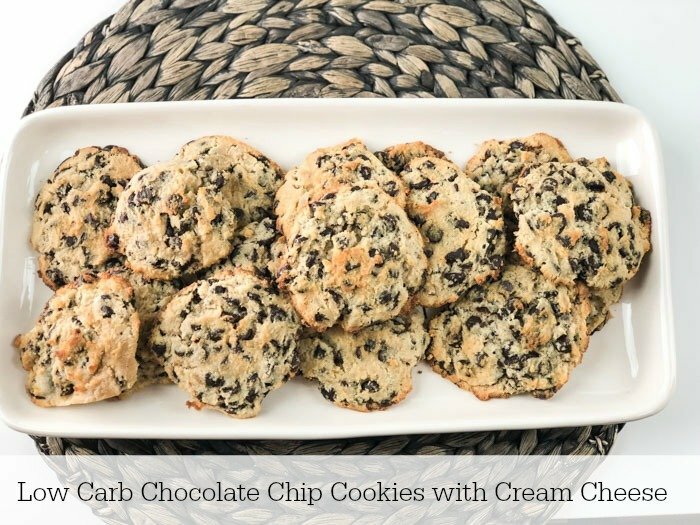 These Low Carb Chocolate Chip Cookies with Cream Cheese are a great Keto version of the classic cookie you love! If there’s one thing that is easy to miss on any diet, it’s chocolate chip cookies! They are hard to stay away from really… whether it’s a church gathering, workplace cafeteria, or even the bakery at the grocery store, chocolate chip cookies are an American favorite. I love how each person has their own way of making chocolate chip cookies, too. 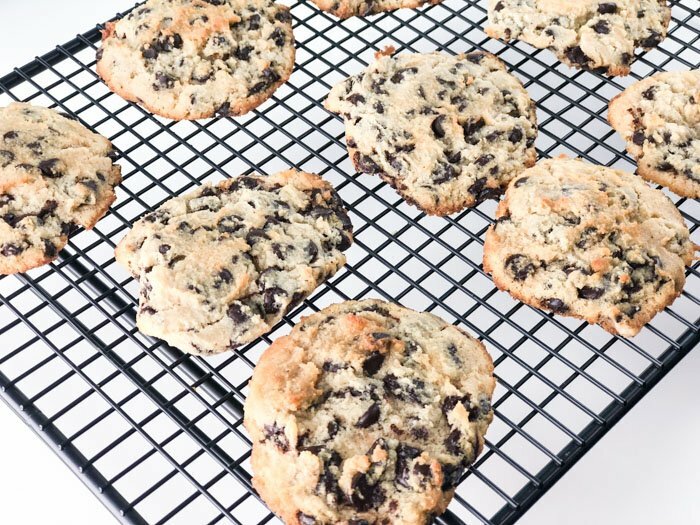 If you have recently started a Keto diet, finding a tried and true low carb cookie is probably on your to do list! If you have been searching for one, you’re in luck! 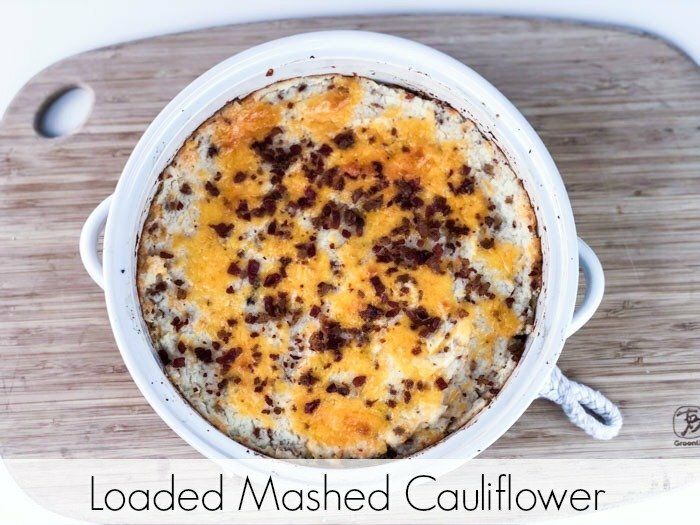 See below for this easy recipe that uses standard Keto friendly ingredients. You do need Swerve Granular Sweetener and Swerve Brown Sweetener. This recipe was made with both ingredients, so substitutions are sure to change the flavor and texture of your final product. I also used coconut flour, which you probably have in your pantry if you have been eating low carb. 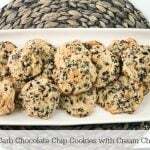 Finally, for the chocolate chips we used Lily’s, which are a household name in unsweetened chocolate chips. They bake beautifully and you can’t go wrong with this brand. I make the cookies fairly small as you can see below, so there are a good amount of chocolate chips in each cookie. Let cool on a wire rack after baking, so they do not continue to cook on the cookie sheet. 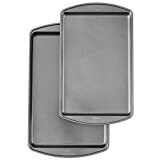 I have this one, which is ideal for smaller cookies or very soft ones that may sink into the wider wire racks. If you love these try our Low Carb Chocolate Peanut Butter Bark which is one of my favorites. See below to print your recipe! 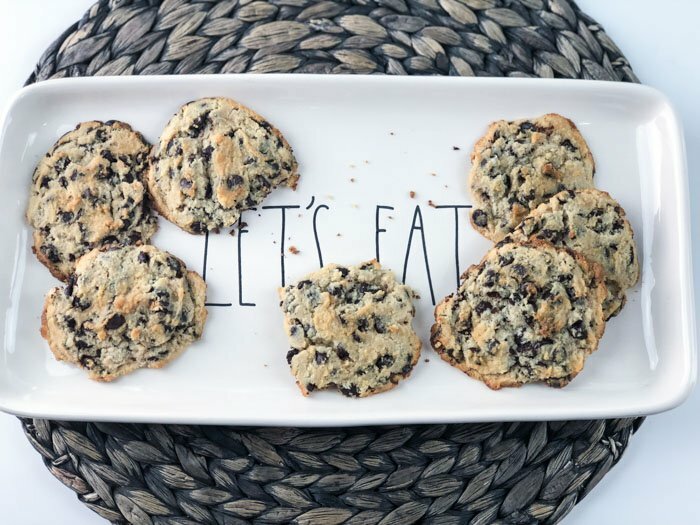 Don't miss out on Chocolate Chip Cookies while on a Keto Diet! Try this rich cream cheese version to stop those cravings in their tracks! 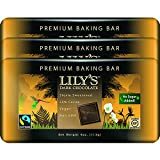 1/2 bag of Lily's Chocolate Chips approx 6 oz. In a large bowl, mix cream cheese, butter and both sugar until mixture is smooth and creamy. 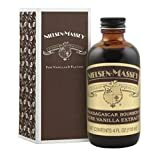 Add vanilla and mix well. Add salt, flour and baking soda. Mix until blended well but don't over do it. Add chocolate chips. Lightly mix until chips are evenly blended. No mix to much or your will mess up your chips. 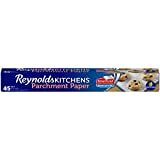 Add parchment paper to your cookie sheet. 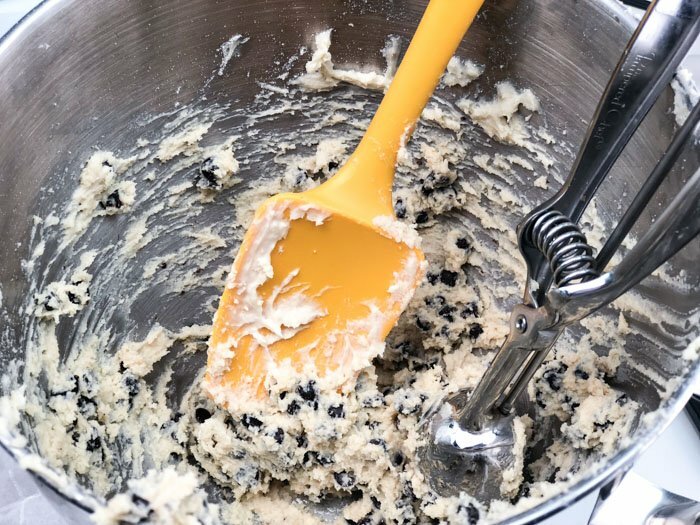 Using a medium sized cookie scoop, scoop the dough and place about 1 inch part on cookie sheet. Use the middle rack and cook 10-14 minutes. Or they turn lightly golden brown on top. s in an airtight container. Like our Keto Me Baby Page Here! Join our Keto Me Baby Group. Please note that sugar alcohols from Swerve are not included since most subtract sugar alcohols. Sharing our recipes are encouraged as long as you link back. Please do share screenshots of our recipes. Copy or pasting full recipe text to websites or social media is prohibited. You may share an excerpt and/or single photo, provided that full and clear credit is given to Consumer Queen with a link back. All text and images are © copyright of Melissa Garcia of ConsumerQueen.com. 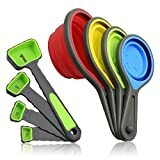 My family started doing Keto in June of 2018. We chose to do Keto because my husband has Ankylosing Spondylitis and my son has horrible Psoriasis. Giving up snacks can be the most difficult part of any diet or eating plan. 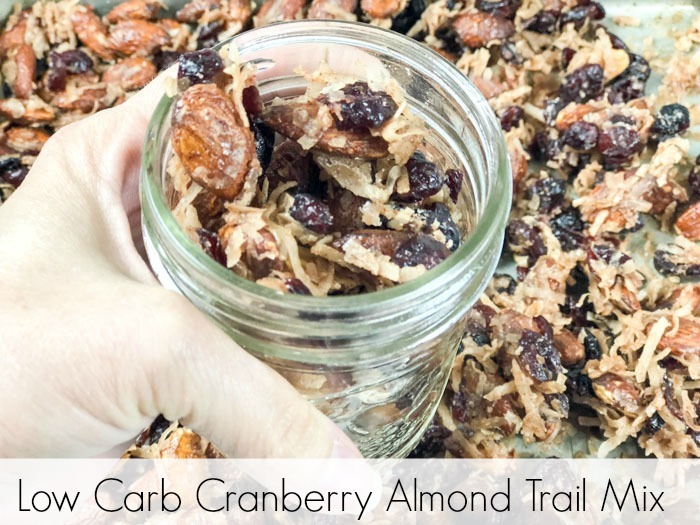 For a low carb option that still satisfies that occasional craving for a snack you can munch on, try this Low Carb Cranberry Almond Trail Mix recipe! Could you clarify the coconut flour amount please? These look amazing! It should be 1/2 cup. Sorry for the typo! Wow! These are the first keto cookies I’ve made that taste like regular chocolate chip cookies. I’ve tried SO many recipes and this, honestly, is the closest you can get to the real thing. Thank you for this recipe. Definitely gonna try some of your others! I’m sorry to hear that as we have had several readers make this recipe and say it turned out great! Let us know how it turns out for you if you add more coconut flour as I make these all the time!